It details the trials and tribulations experienced in order to make a first feature film, "Tin Man." This is not some Hollywood publicist's account, but the no-holds-barred description of everything that happened - the triumphs and the disasters. The book takes you through every step from raising the money through distribution. There is a great emphasis on directing actors, including many very important techniques you must know. The author hopes that by sharing his experiences, others will be able to avoid some of the mistakes he made, and most of all, make a better film. Read first 10 chapters of the book here. 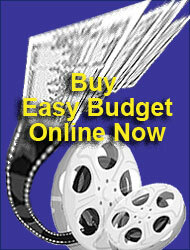 Copyright © 1994-2009, The Easy Budget Company.